any DIY project and make it amazing! 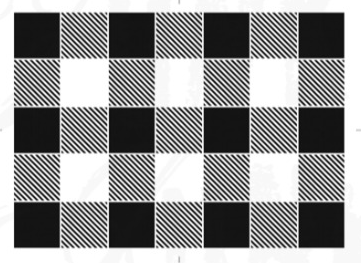 Today I'm gathering 7 of my favorite buffalo check stenciled projects all in one place for you. When you visit the Old Sign Stencil site please note all prices are in Canadian. 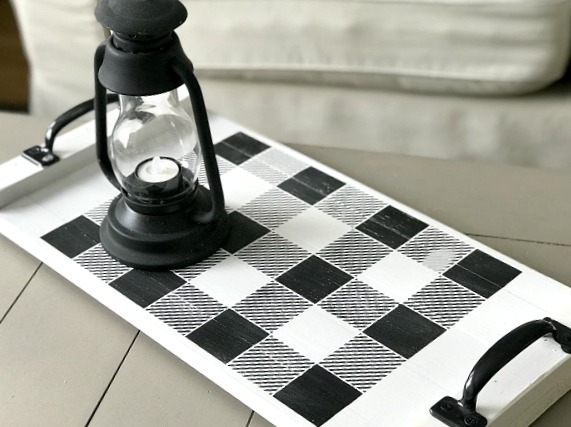 These are all DIY projects that were transformed by using this easy to use buffalo check stencil. 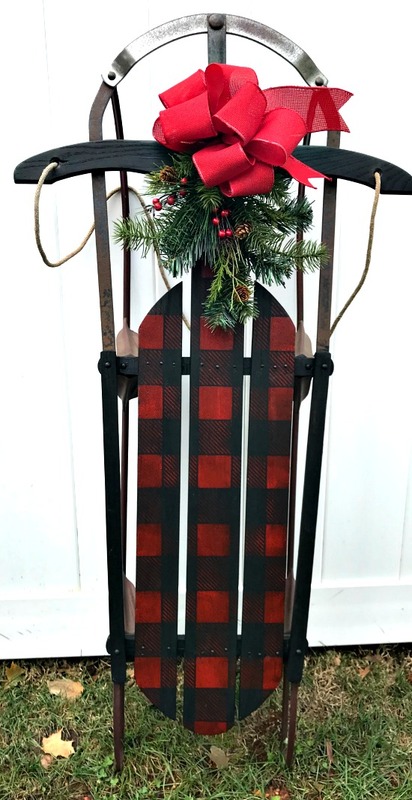 Visit the Buffalo Check Vintage Sled tutorial. 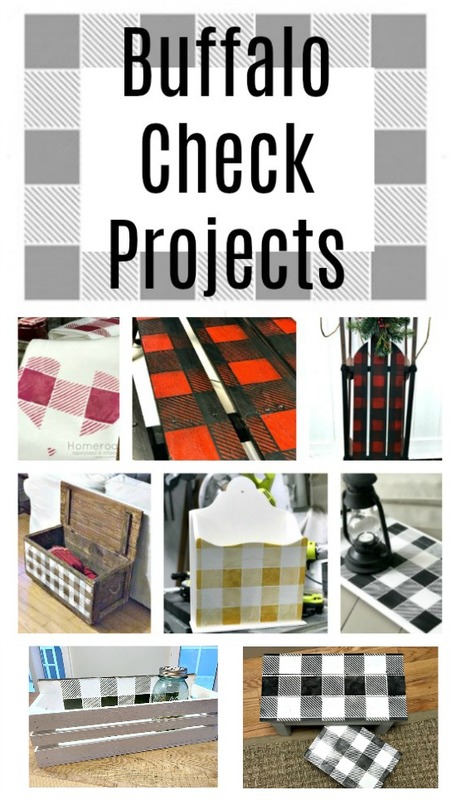 These projects will work in any color on any thrifted item. 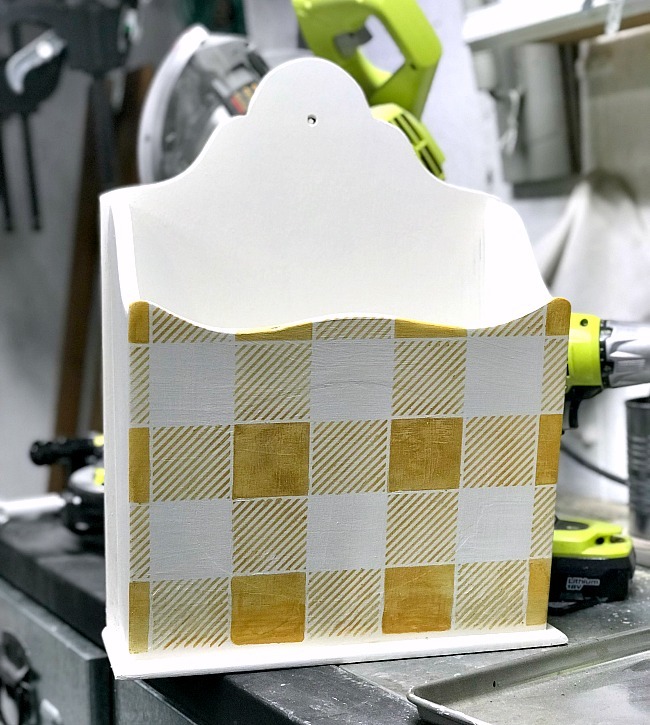 Visit the Thrift Store Mail Organizer tutorial. 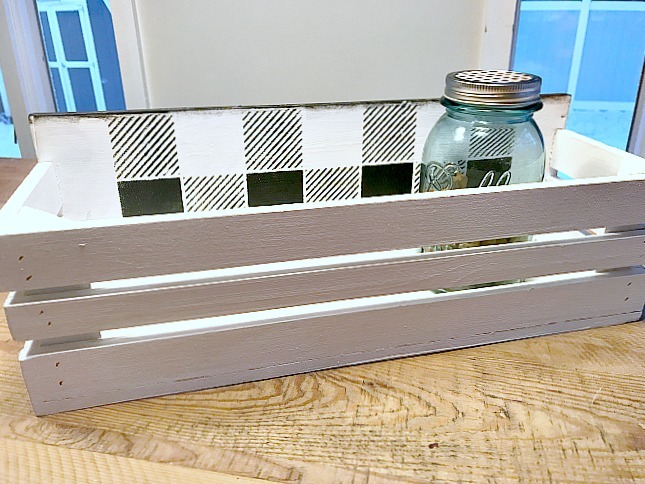 I used it in black and white on a rustic tray I built. 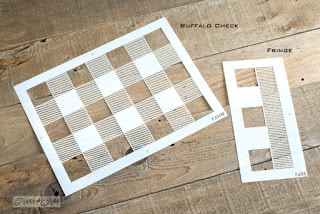 Visit the Buffalo Check Rustic Tray tutorial. and on the front of a two sided antique crate storage box. 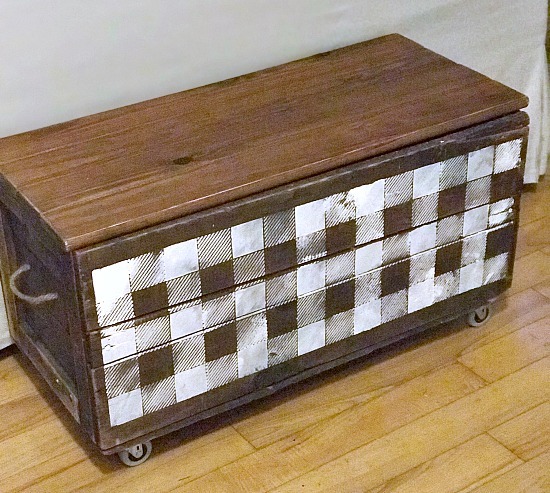 Visit the Antique Crate Storage tutorial. 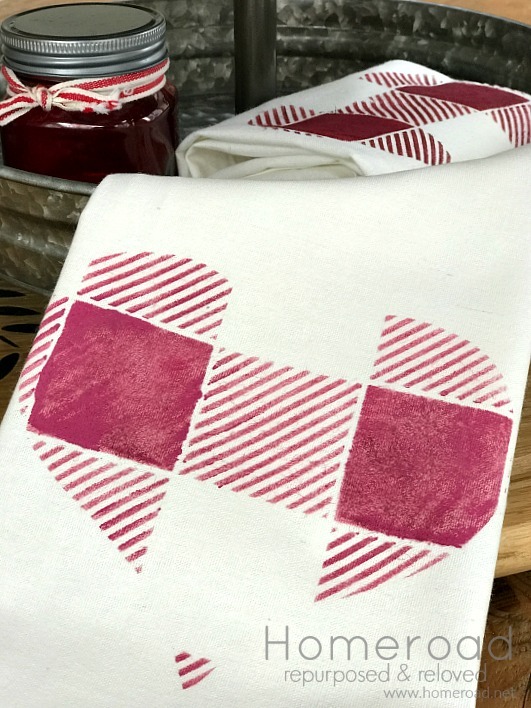 The stencil was perfect for my latest and easiest DIY buffalo heart tea towel. Visit the Buffalo Check Heart Tea Towel tutorial. 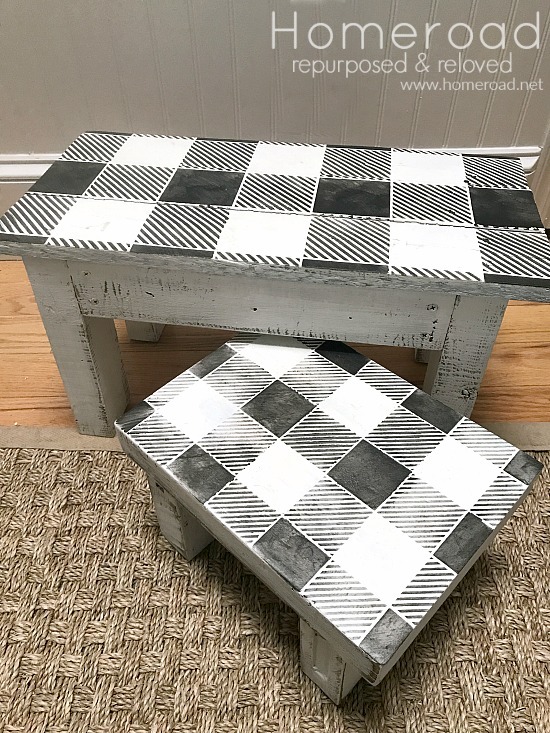 These projects were all made with the buffalo check stencil made by Old Sign Stencils. You can purchase this stencil or any number of other gorgeous stencils by visiting this LINK. Please note that the prices you see are in Canadian! Old Sign Stencils provided me with the stencil but all projects and opinions are my own!